Turga Restaurant is the fine dining restaurant at the Ciragan Palace Kempinski Istanbul, a luxurious five star hotel overlooking the Bosphorus. In its former life, the Ciragan was an Ottoman Palace and home to a long line of sultans. Today it is one of the properties in The Leading Hotels of The World and provides some of the most luxurious hotel rooms in all of Istanbul. Turga Restaurant is considered to be one of Istanbul’s finest and most romantic restaurants. The restaurant is beautiful and grand, offering sweeping views over the Bosphorus. 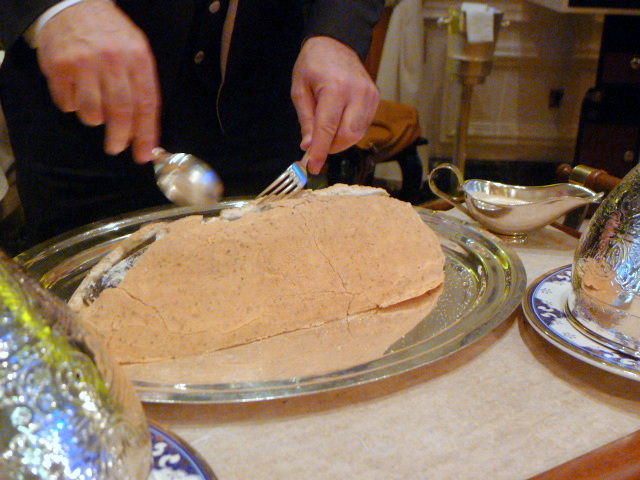 The menu covers many classical Turkish dishes, some of which draw from ancient Turkish cooking techniques such as the ‘Testi’ lamb casserole, a clay pot dish that dates back to 1600 BC Anatolia. There are hot and cold mezes on offer, and perhaps one of the most interesting and varied was the Classic Turga treats (TRY70 – about £19.70) which contained a lovely selection of different goodies. All of them tasted wonderful including mash curd cheese with fresh herbs, tomato and pine nuts, fava beans, lentil kofte with herbs, stuffed vine leaves with onions, Circassian chicken with walnut sauce, roasted eggplant, humus, melon and white cheese with rose water. The presentation of the meze platter was dainty and precise, and each meze showed off a skilled hand behind its preparation. 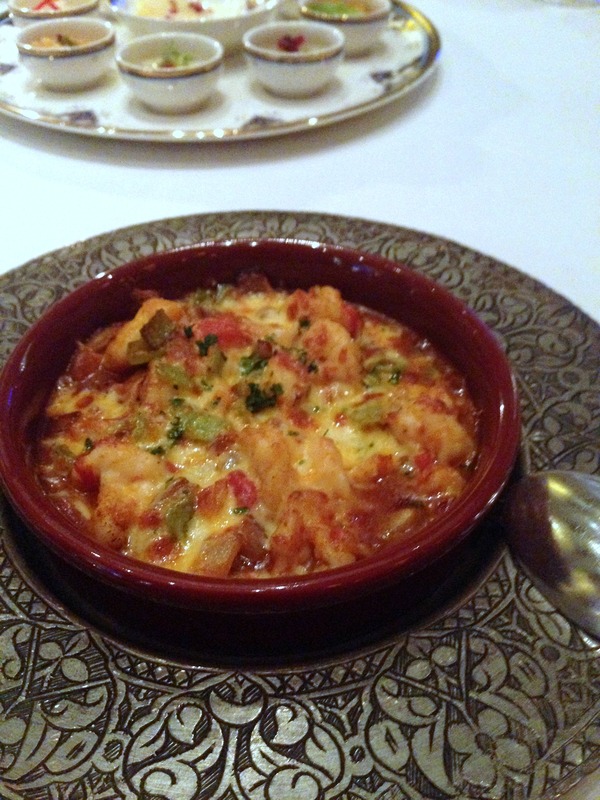 A traditional prawn casserole (TRY80 – £22.50) was wonderfully flavoursome. There was a rustic heartiness to the dish from the use of wild mushrooms, onions, garlic and sweet pepper, sweetened with the lovely richness of ripened tomatoes. Bringing it together was some kashkaval cheese which had melted and was nice and gooey. 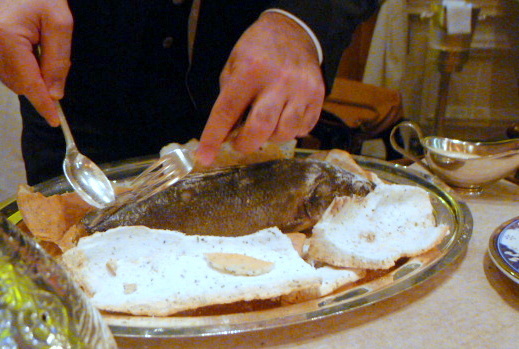 A whole sea bass for two (TRY130 – about £36.60) and baked in a rock salt dough with onion, carrot, thyme, lemon and butter presented an element of theatre. It was brought out whole and then deboned and plated at the table. It was a salt baked fish, so saltiness was to be expected, but here it was a little too salty. But the cooking method meant the fish stayed extremely moist and had a gloriously silky smooth texture. Accompaniments included a lovely seasonal vegetable basti, a warming a ginger sauce and some corn bread which was a little dry. 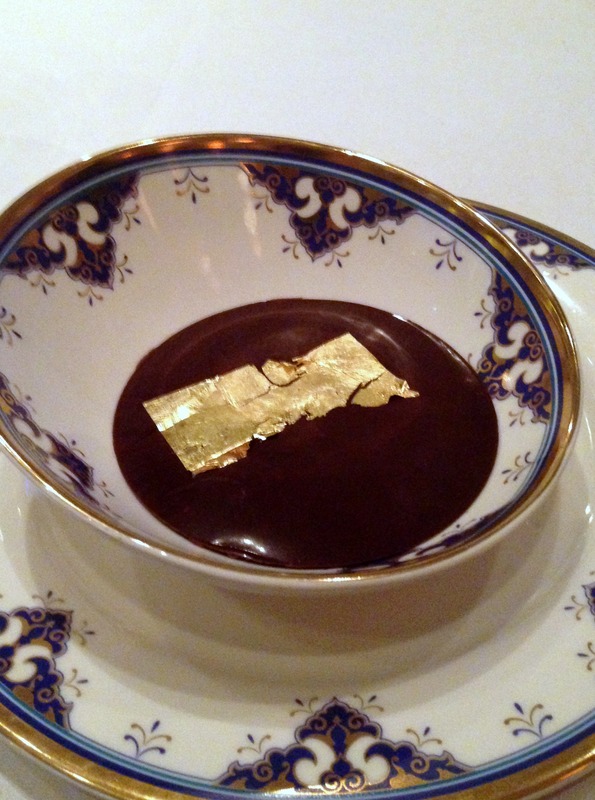 To desserts, and a ‘dark chocolate palace pudding’ with gold leaf (TRY40 – about £11.30), essentially a chocolate mousse, was wonderfully creamy and rich. 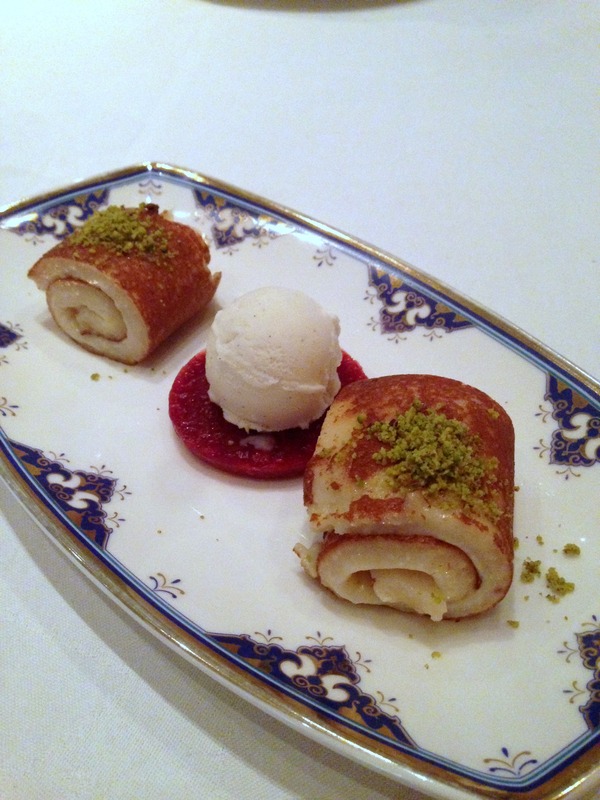 Perhaps the more unusual of the two desserts was the ev yapımı kazandibi, a caramelised milk and chicken (yes chicken) pudding with vanilla ice cream (TRY40 – about £11.30). This is a traditional Turkish pudding made using cooked and grated chicken which helps to create a dense, gooey consistency. Lightly sweetened, I enjoyed this dessert, especially as it was rather unusual by Western standards. Turga Restaurant brings a level of refinement to Turkish cooking which surpasses that of the standard Turkish dining experience. 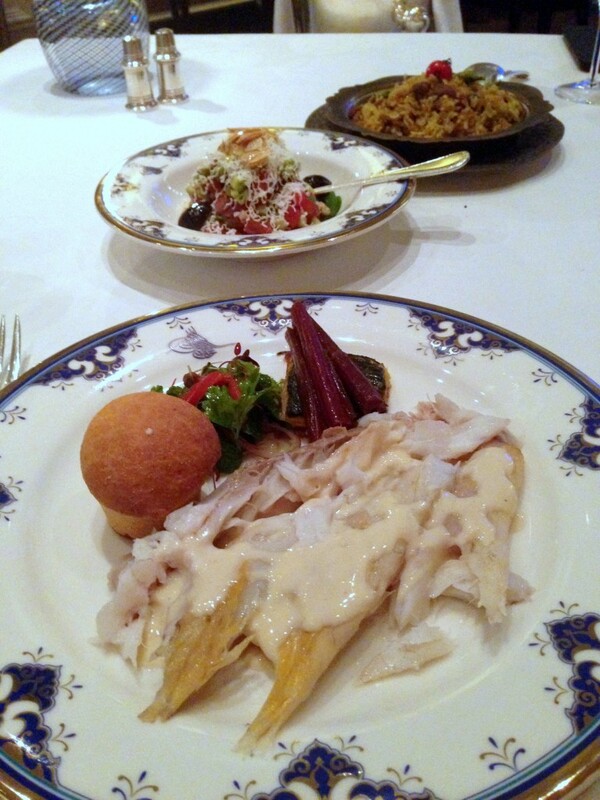 The food on the whole was elegant and dainty and highly enjoyable, although I would only advise ordering the salt baked sea bass if your preference is for salty food. 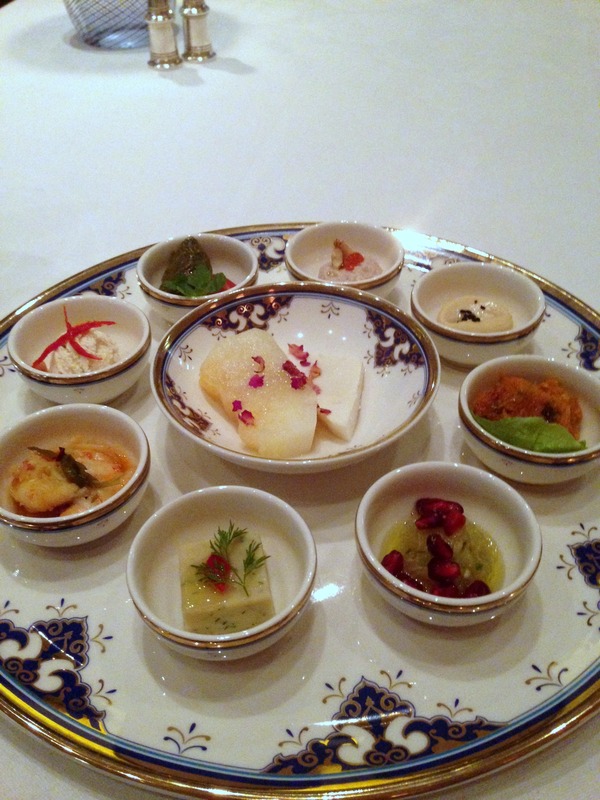 The service was also spectacular, and as excellent and flawless as one would expect from a five-star luxury hotel. Prices are higher than the standard Turkish restaurant in Istanbul, but at Turga they will literally wait for you hand and foot. The average cost per person for three courses plus a side to share is about TRY240 – about £66. Excludes drinks and service.